The Paradise Papers scandal will never again be allowed to happen as tax authorities are winning the power to automatically share data across borders leaving tax dodgers with "no place to hide", the OECD's boss has promised. "Up to €85bn (?75bn) has already been collected from taxpayers who know that through the automatic exchange of information, which 50 countries started practicing last September and another 50 will start practicing next year, there is quite literally no place to hide," said Jose Angel Gurria, secretary general of the Organisation for Economic Co-operation and Development. "So when we're talking about the Panama Papers or the Paradise Papers, we are talking about a legacy that is fast disappearing. When we talk about the double Irish or the double Dutch, we're talking about [tax] structures which are no longer there. "This could not be repeated any more." Mr Gurria said the base erosion and profits shifting (BEPS) rules should also help tackle gaps for multinational firms which have left governments short of as much as $240bn of revenues per year. "We have yet to define together how we will approach issues such as taxation of increasingly digitalised economies," he said. "It is not about taxing digital companies, it is about taxing an increasingly digitalised economy among which are those digital companies." It also means focusing as much on businesses as on individuals, he said. 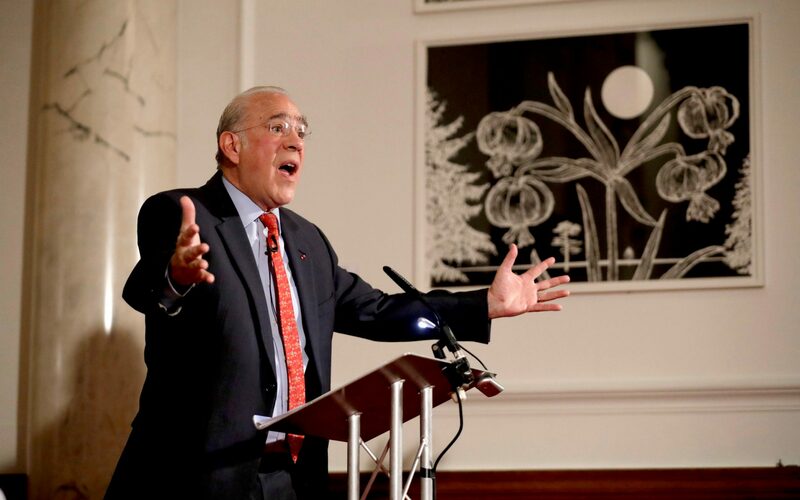 "We were so worried about avoiding double taxation that we have created perfect double non-taxation, and obviously neither of the two extremes is appropriate," Mr Gurria said at the CBI's annual conference in London. He was speaking after details from some 13 million files were published in the so-called Paradise Papers, revealing how some of the world's wealthiest people shelter their money.